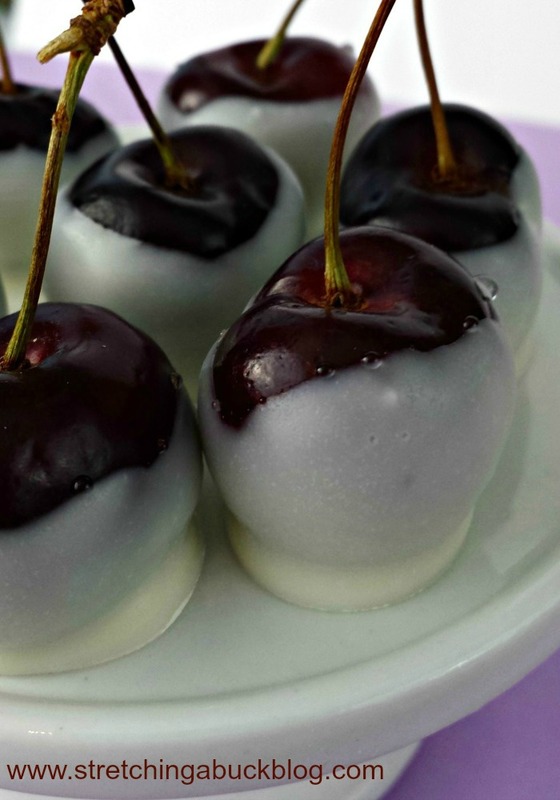 Valentine’s Day is right around the corner, and if you are planning a special meal at home for you and your loved one(s) this year, I thought it would be fun to share these White Chocolate Cherries with you! If you are looking for a sweet treat to end your Valentine’s Day meal, check out this recipe for White Chocolate Cherries. It is sure to please, and it’s not entirely unhealthy either! I love how easy these are to make, and how pretty they are! 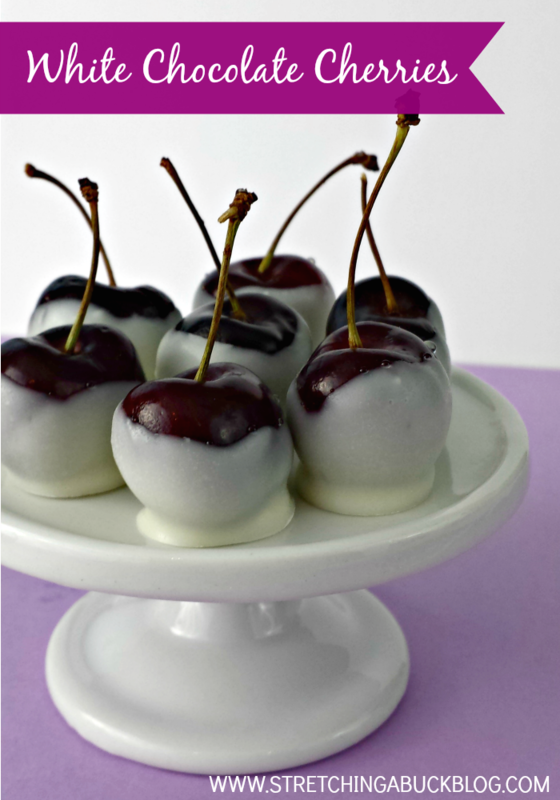 If you are feeling fancy, dip your White Chocolate Cherries in pink or red sprinkles. These are elegant enough to serve to adults, but are also a fun project to work on with the kids. Recipe courtesy of Stretching a Buck . In a microwave safe bowl, melt the white chocolate in 30 second intervals, stirring in between, until the chocolate is smooth. Holding the stem of the cherry, dip it part way into the chocolate, turning once or twice to be sure it’s coated. Gently tap off the excess chocolate, then place on the parchment paper. Repeat until the chocolate is gone. Let the chocolate harden completely – about 1 hour, before moving. Store the cherries in an airtight container in the refrigerator. Chocolate dipped cherries are best if eaten within 1-2 days of dipping. If you are heading out on the town this Valentine’s Day and are looking to do so on a budget, one tip that I have is to go to dinner early – often restaurants will offer an “early bird” discount on special holidays. Having a reservation is also key – many nicer restaurants book up fast! Also be sure to check out my article How to Find Restaurant Coupons where I share 5 great tips for finding restaurant coupons. It’s isn’t as hard as you might think!